What! Mom and baby conceived one year apart? "We could have been best friends," says elated new mom, Tina Gibson. Her baby Emma is a result of an embryo that was frozen in 1992! On the 25th of November in Tennessee, a young couple gave birth to their first child, a daughter they've named Emma Wren Gibson. What makes this story so fascinating is that mom, Tina and daughter Emma were conceived a year apart. Emma is a result of an embryo that was frozen in 1992! This Tennessee born baby's name is Emma Wren Gibson. What's so special about her? She was frozen as an embryo on 14th October 1992. But on 25th November 2017, almost 25 years later, she is born. A world record created for the oldest frozen embryo birth. 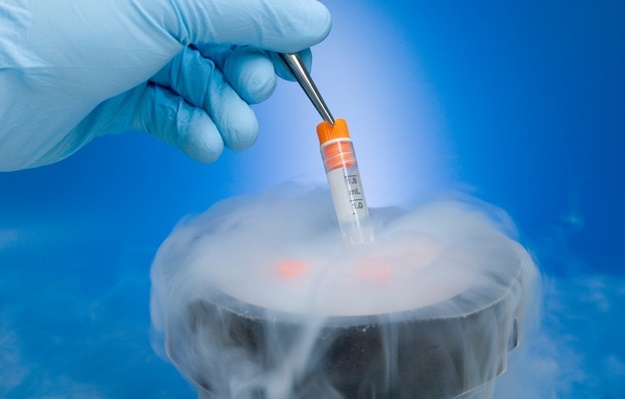 Frozen embryos are referred to as snow babies and are available for couples who struggle with conception. The embryo was donated by an anonymous couple that wanted to help couples who cannot conceive. When Tina and her husband, Benjamin began the IVF process, they had no idea that the embryos being implanted were 24 years old. Tina, who is 26 years old, told CNN: “I was like wow, if this embryo had been born when it was supposed to have been, I was like ‘we could have been best friends, I'm only 25’.”. Prior to Emma's birth, the oldest known embryo that had been a successful birth was 20 years old. Tearfully, Tina says that she believes that it was God and fate that brought Emma to them and that they are very grateful and feel blessed to have her as their child. Do you have some inspiring and fantastic stories about miracle babies? Send us your comment to chatback@parent24.com.